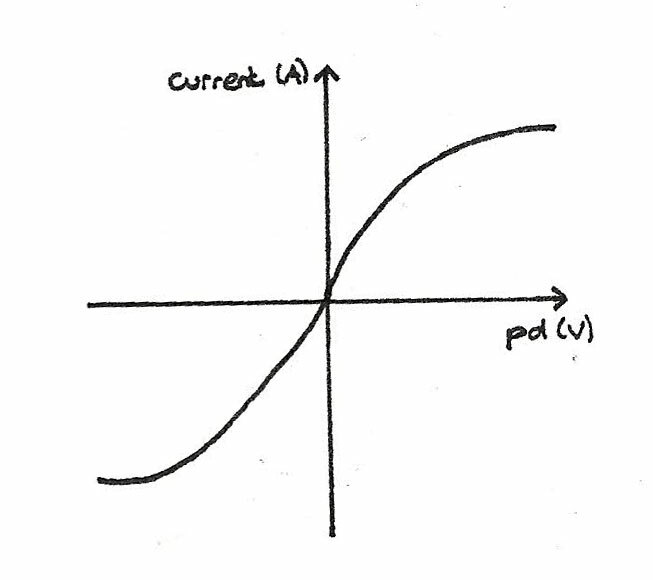 where $\Delta Q$ is the charge in coulombs, $I$ is the current and $\Delta T$ is the time taken. The coulomb is the unit of charge. 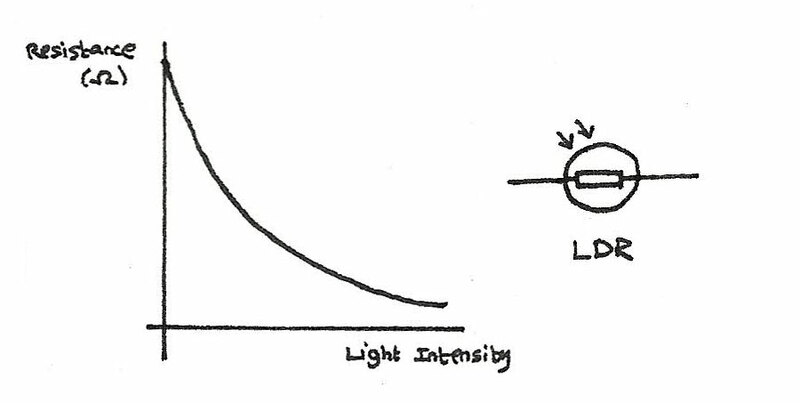 One coulomb is the amount of charge that passes a fixed point in one second with a current of 1A. Charge can be measured using an ammeter attached in series to a circuit. 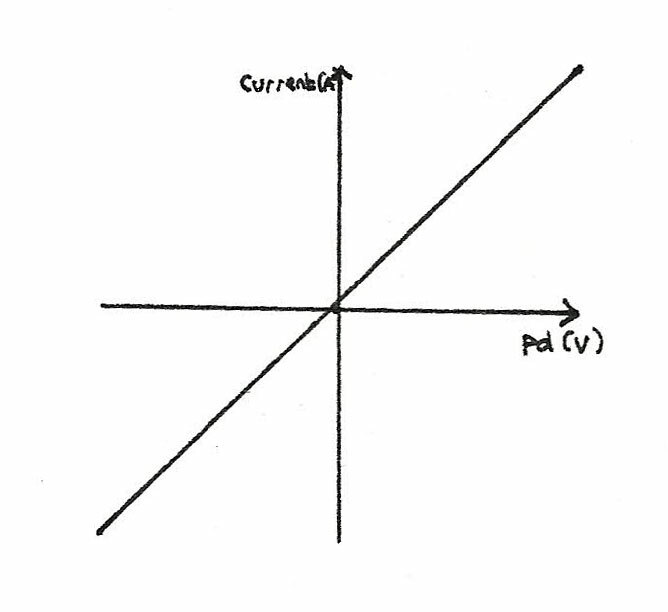 where $V$ is the voltage, $W$ is the energy in joules and $Q$ is the charge in coulombs ($C$). A volt is defined as one joule per coulomb. where $V$ is voltage in volts, $I$ is current in amperes and $R$ is resistance measured in ohms ($\Omega$). A heater converts 750J of electrical energy into heat every 10 seconds. What is the power rating of the heater? The total resistance of the heater is $5\Omega$. What current flows through the heater? This term refers to how voltage and current are proportional. By plotting a graph, the resistance can be calculated by finding the gradient; the shallower the gradient, the greater the resistance. The diagram below shows a circuit arrangement, allowing IV graphs to be plotted. At constant temperature, the current through a metallic conductor is directly proportional to the voltage. This gives a straight line graph passing through the origin. The filament inside of a lamp is a coiled up length of wire which, when a current is passed through it, the temperature increases, increasing the resistance. The resistance increases as the temperature increases. A NTC (negative temperature coefficient) thermistor is a resistor where the resistance decreases as the temperature increases. Light dependant resistors are resistors where the resistance decreases as the light intensity increases. Diodes are designed to only allow current to flow in one direction. 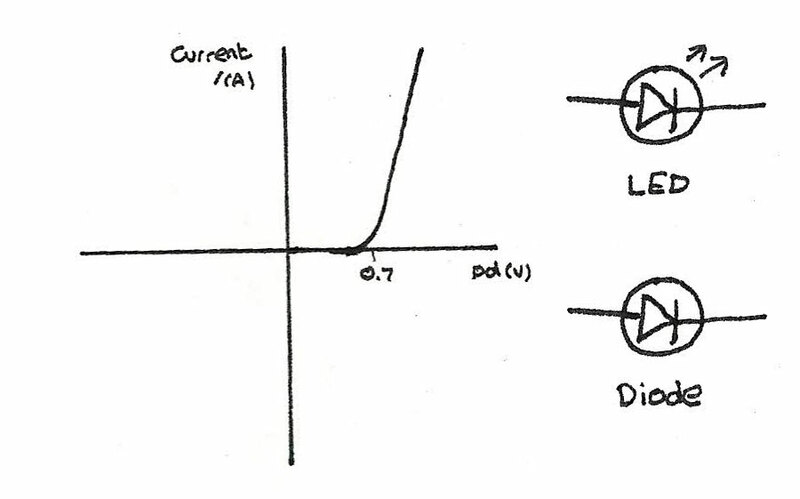 The forward bias of a diode is the direction in which the current is allowed to flow. Most diodes have a threshold of around 0.6V before they will conduct. Strong electromagnets that don't require a constant power source. The problem with superconductors is that it is difficult and expensive to cool to such low temperatures.